Donald Trump has made health care a central campaign issue heading into the 2018 midterm elections, but the president’s continued attacks against Obamacare will cause insurance premiums to increase by as much as 16 percent. The Trump administration's repeal of the Affordable Care Act’s individual mandate will effectively cause premiums to become more expensive. An analysis by the Henry J. Kaiser Family Foundation released Friday found that by 2019 the average premium will increase by 6 percent and some as high as 16 percent. The report suggested that a 40-year-old with a silver plan premium would pay on average $70 more per month for coverage. The mandate will stay in effect for the remainder of 2018 but will not be available come 2019. In addition to the spike in premiums from the repeal of the individual mandate, Americans will also face significant rate increases due to the administration’s decision to stop cost-sharing reduction subsidy payments. Trump touted the repeal of the individual mandate, which required that most Americans have health insurance or risk paying a fine, earlier this year after many failed attempts by a Republican-controlled Congress to repeal and replace Obamacare in its entirety. Trump slammed lawmakers for being unable to repeal the Obama-era health care legislation in its entirety, after multiple attempts failed to make its way out of Congress. Twice the GOP effort was stalled by late Senator John McCain, a move that stunned his conservative colleagues and caused Trump to mock the former prisoner of war and presidential candidate continuously until his death this past August. But ahead of the highly contested midterm election cycle, when pollsters predict Democrats will win back control of the House, Republicans are renewing their attacks against Obamacare. In the weeks leading up to the midterms, Trump has revamped his attacks against Democratic health care initiatives. 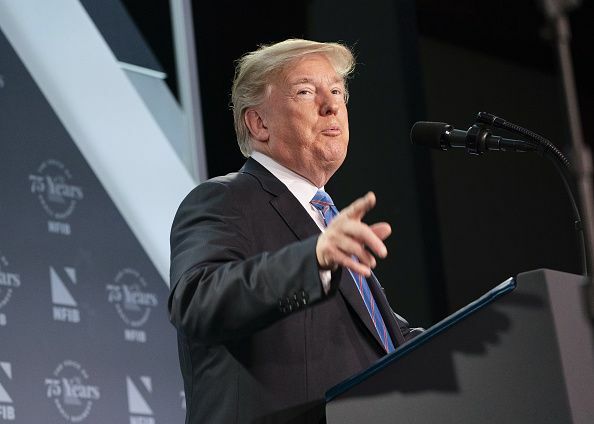 The president penned an op-ed published by USA Today slamming Democrats for their “Medicare for All” plan, falsely claiming that it would virtually kick seniors off health insurance plans and those with pre-existing conditions. “Republicans will totally protect people with Pre-Existing Conditions, Democrats will not! Vote Republican,” Trump tweeted on Wednesday.